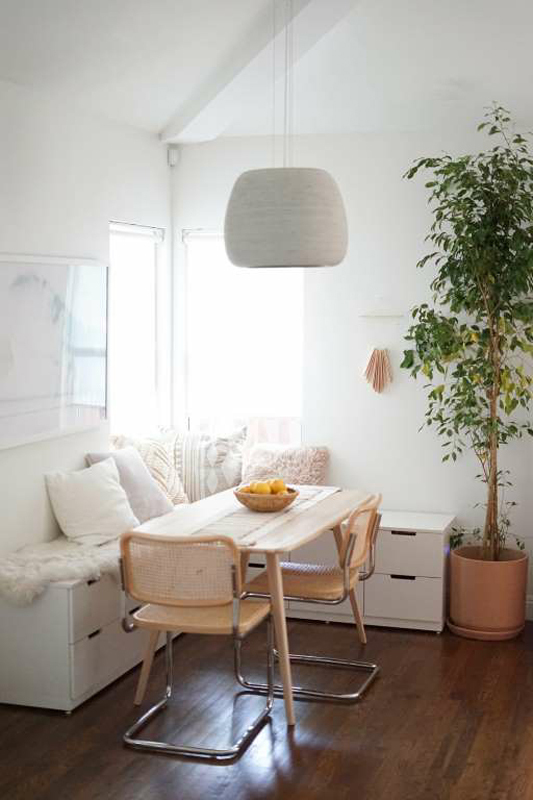 In a small dining space, finding pieces that can do double-duty is key—which is why this idea from Molly at Almost Makes Perfect is genius. She joined together a couple NORDI dressers from IKEA to create cool modern bench seating for a breakfast nook. With hidden storage underneath, it's the perfect spot to keep napkins, tablecloths, candles, and more organized and at the ready. When you have a small bedroom and an even smaller bathroom, it can be hard to carve out space for makeup, perfume, and the like. 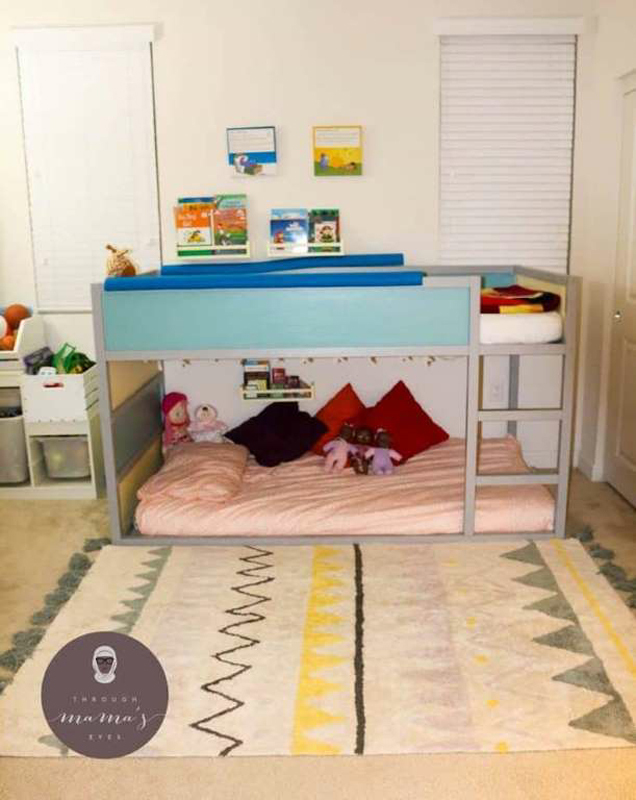 Erin from A New Bloom added legs to the wall-mounted EKBY ALEX shelf to eke out just what she needed: a get-ready station that wouldn't overwhelm her small bedroom. 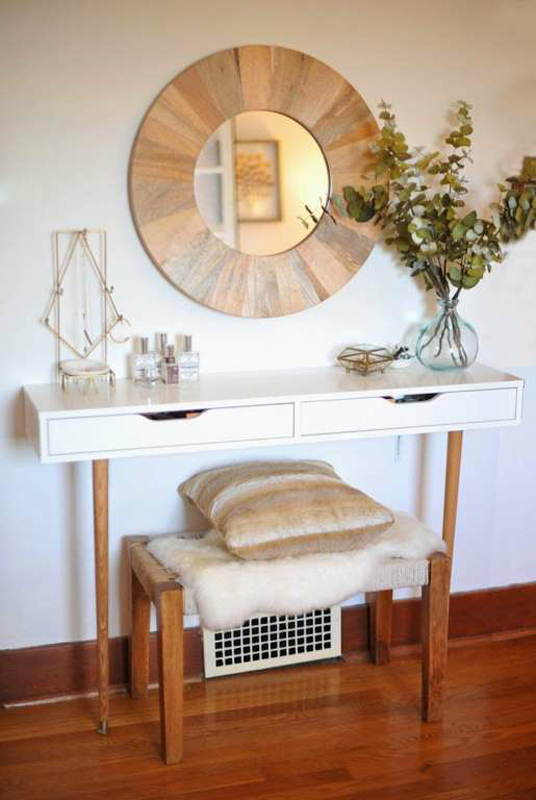 With two drawers and a shelf to store all of her toiletries, this DIY vanity is stylish and space-savvy. Every home can benefit from a command station. 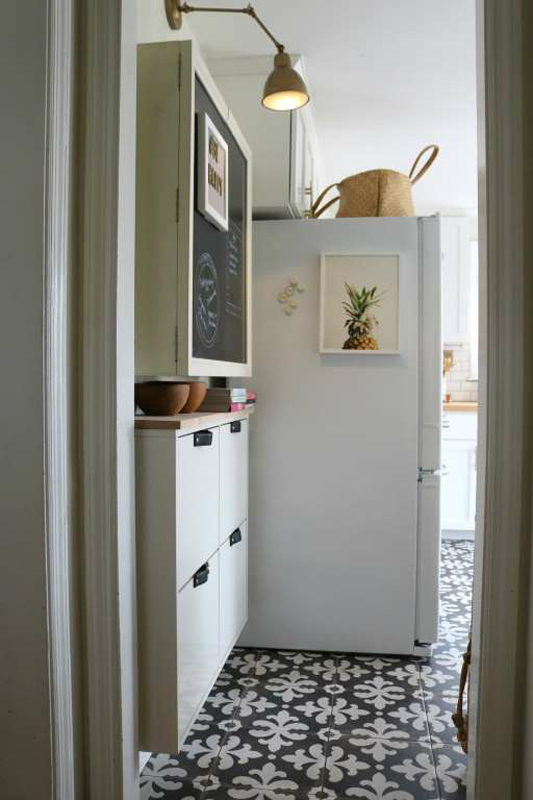 Here, leather handles and a wooden top upgrade the STALL shoe cabinet, making it the perfect, narrow cabinet to serve as the command center in a tiny kitchen. At just seven inches deep, this smart hack from Brooke at Nesting with Grace can hold computers, keys, and even cat food without taking up valuable kitchen space. Squeezing out dedicated desk space is essential, especially if you work from home. 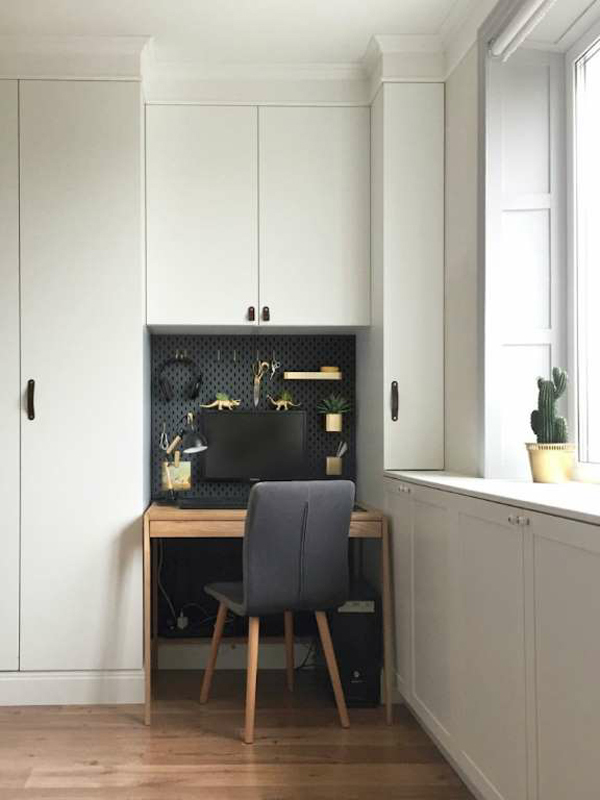 Here, Evgynia from Foxy and Brass shared on Grillo Designs a DIY pegboard that adds storage without compromising on style. She painted a SKADIS pegboard a chic charcoal gray that plays down the computer monitor, then spray-painted hanging accessories gold to round up odds and ends. Bonus: She can easily add on and move around the elements as her organizing needs change. To maximize book storage in her kids' bedroom, Afra from Through Mama’s Eyes turned BEKVAM spice racks into wall-hanging book storage. The children have a well-stocked library, yet this clever design leaves the floor space clear for games and toys.